TERROIR has been commissioned with Oxford Research to research urban renewal dilemmas in the Danish "parcel house" suburbs of the 1960s and 1970s. The client for the project is the by the Danish Ministry of Housing, Urban and Rural Affairs and the project is funded by their urban renewal funds allocation. As case studies, TERROIR and Oxford Research will concentrate on specific areas in Viborg and Høje Taastrup. TERROIR er blevet engageret sammen med Oxford Research til at researche byfornyelsesdilemmaer i de danske parcelhuskvarterer fra 1960’erne og 1970’erne. Opdragsgiveren for projektet er Det Danske By- og Boligministerium – og projektet er finansieret med midler fra byfornyelsespuljen. I opgaven vil TERROIR og Oxford Research koncentrere sig om to case områder i hhv. 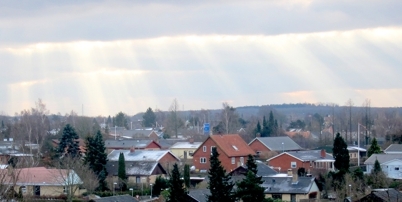 Viborg og Høje Taastrup.